ASTANA – Nauryz, an ancient holiday symbolising spring revival, is always celebrated by Kazakh people with grandeur. The festivities in the capital, including concerts and exhibitions, will take place next week ending with large-scale outdoor celebrations on March 21-22. The holiday, commonly referred to as “Ulystyn uly kuni” (“Great day of the nation” in Kazakh,) is also a symbol of unity. People gather in the streets to congratulate each other and revel in the coming of spring. The festivities began March 16 with an exhibition at Mangilik El Triumphal Arc of works dedicated to Nauryz by the city’s young artists. Saken Seifullin Museum will greet visitors March 19-23 to its “Welcome to Astana, Nauryz” exhibit. Music is an important part of the celebration, beginning with an invitation to capital residents and guests to a March 20 concert at Zhastar Theatre. The Kazakh musical “Zhanarghan zher, bak konghan nurly el” (“Renewed land, blessed country”), featuring a symphonic orchestra and young opera, ballet and theatre talents, will be presented March 21 at the expo Congress Centre. The same day, Astana Concert Hall will host the “Auylym – anim” (“My village – my song”) concert. The Astana Opera will stage the grand concert “Qosh qeldin, Nauryz” (“Welcome, Nauryz”) March 23, including Kazakh national songs, arias from the “Abai,” “Birzhan-Sara” and “Kyz Zhibek” operas and a performance by its children choir. “The stage will transform into a yurt and each artist will be a guest coming to dedicate the performance to Nauryz. We also prepared an aitys, a vocal traditional competition between the performers. Since all the people of our multi-ethnic country celebrate Nauryz, we decided to include masterpieces of vocal and instrumental art which depict themes of love and spring revival,” said pianist Raushan Beskembirova. 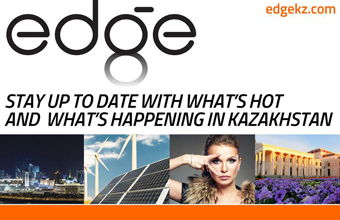 The outdoor festivities will take place 10 a.m.-6 p.m., March 21-22 at several city locations, including the expo site, Kazakh Eli Square, City Square, Student Park and numerous residential sites. 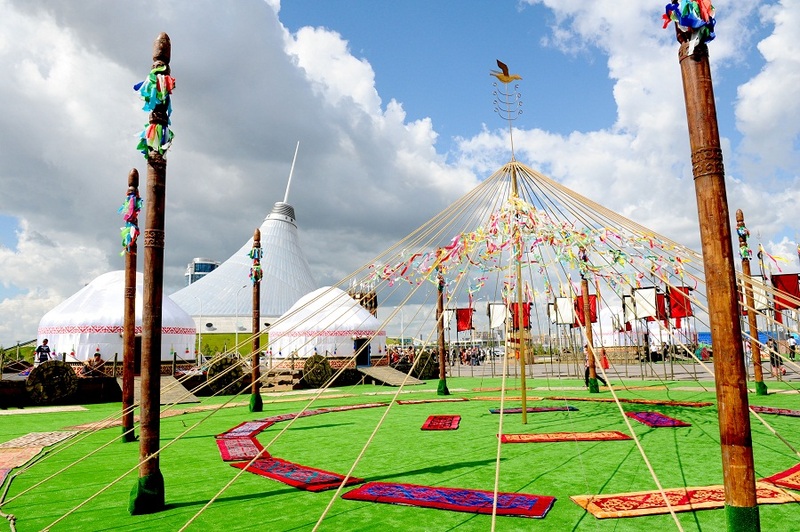 Each spot will host concert programmes and more than 40 yurts and altybakans (traditional Kazakh hanging swings). Ethno Auyl (Ethno Village) will be constructed on the former expo grounds, where city artists and cultural centre representatives will showcase national customs and traditions near yurts. It will also sponsor a Tazy and Tobet exhibit, breeds of ancient Kazakh dogs, and greyhound racing. A special area with food courts will offer tastes of plov (rice with meat and seasoned broth), baursak (puff pastry) and Nauryz kozhe (a traditional cold drink prepared especially during the holiday). All guests will also have an opportunity to test their strength and stamina in national sports competitions such as Kazakh wrestling, arkan tartys (tug-of-war) and sheep lifting. Five additional yurts will also serve as a museum, displaying traditional musical instruments, jewellery, hunting equipment and ethnography. A separate yurt will be dedicated to Altyn Adam (Golden Warrior Prince), a valuable historic artefact. This year the celebration will last for five days, as the official March 21-23 holiday is followed by the weekend.